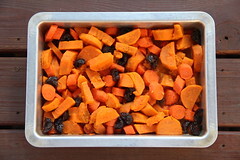 Whisk together the gluten-free flour, cornmeal, salt, baking powder, black pepper and cayenne in a medium bowl. Add milk, egg and 1 tablespoon oil, and incorporate. Mix in corn and green chiles. Batter will look liquidy. Heat the remaining 2 tablespoon oil in a large skillet or griddle pan over medium heat. Drop large spoonfuls of batter into the pan to make small pancakes. Flip the pancakes when bubbles form on the top surface and the pancake is golden brown underneath, about 3 minutes. Cook the second side about 3 minutes, until both sides are golden brown. 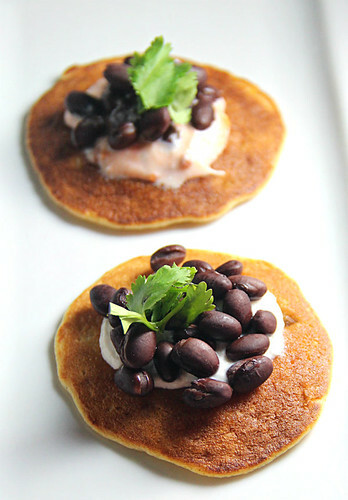 Serve the corn pancakes topped with sour cream (or Greek yogurt), black beans and cilantro. For a fun twist, mix a little salsa into the sour cream or yogurt. Or, for a dairy-free option, top the pancakes with a mix of black beans, corn and salsa. Needed a good pareve gluten free corn fritter recipe and here it is! Thanks. I add corn kernels to my corn pancakes also and I think it makes all the difference. Glad to see you do too. Thanks! When I make cornbread, I add corn kernels to that too.